ARM has just announced the ARM mbed IoT DEvice Platform to 'simplify and speed up the creation and deployment of Internet of Things (IoT) products,' (see Oct. 1 press release). The platform includes the mbed OS, mbed Device Server and the mbed.org website. The open-source OS is currently available but under development to create a modern full-stack OS for ARM Cortex-M based MCUs. The existing v2.0 is the starting point for the full platform release, v3.0, scheduled for ARM TechCon 2015. For more details see the ARM mbed Blog post Announcing our plans for mbed v3.0 on the ARM mbed Developer Site. Many development boards are available to support mbed software development, most using processors fro NXP, STMicroelectronics and Freescale. See the platforms page at the developer site for a complete list. The images below show the $12.95 FRDM-KL25Z board, one of five Freescale Development Platforms with ARM mbed Enablement. A partial list of ARM partners supporting mbed include Atmel, element14, Freescale, Marvell, NXP, Nordic semiconductor, Renesas, STMicroelectronics, Semtech, Silicon Labs, u-blox and wot.io. The BeScope developed by Arrow is a two-channel analog oscilloscope system available for only $50 (USD) while supplies last. The BeScope system supports real-time waveform analysis using an Altera Cyclone V FPGA. The BeScope Bundle includes a BeMirco CV Eval Kit (FPGA board), the BeScope daughter card, a 100MHz scope probe with 1x and 10x, a windows GUI written in python with source code, and an SDP interposer board for compatibility with Analog Devices evaluation boards. Here is my setup for BeagleBone Black remote debugging with eclipse on a Debian Wheezy host for a C/C++ application. Updated on 5/18/2015: See this new post that has been updated for a Debian Jessie host, the latest BeagleBone Black sources and the latest stable eclipse packages. I'm using Robert Nelson's debian wiki and Linaro and help from a few other sites (links are in the pdf). "on page 25 of the pdf, you have the BBB address as 192.168.2.7, and it should be 192.168.7.2." Here is the end result showing the bbb_hellow_world.c debug session. Express is a set of free PCB design tools limited to 300pins and 50 components. 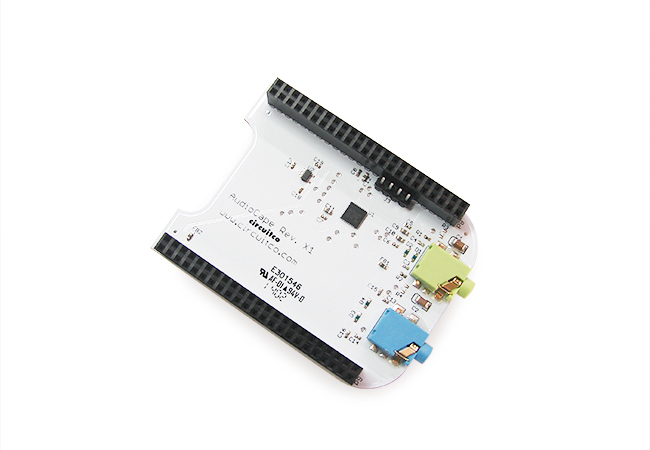 It has the same functionality of CADSTAR, a PCB design suite from Zuken optimized for small and mid-size design teams. An interesting new feature of CADSTAR is the CADSTAR Touch App for Android and iOS devices. It links to the CADSTAR IDE to turn your tablet or smartphone into an input device. For example, you can pan, view all, and run Macros you have defined in CADSTAR. The Android version also supports voice commands. See the video below for a demo. I have been a user of CADSTAR Schematic since version 13, I find it is a professional quality, low-cost solution. The yearly maintenance cost is very affordable and entitles you to download the newer versions which are released about once a year. I receive great support from my distributor, Algozen, who helped organize a local CADSTAR User's Day I attended last week. Freescale Semiconductor is asking what great inventors would do today if they had Freescale MCUs. Answer to enter a drawing for passes to the Freescale Technology Forum Americas 2014, you also receive hotel accommodations and development tools. "Includes the Tower System development kit and Freescale Freedom development platform for Kinetis MCUs, sensor shields, Tower System shield adapter, i.MX 6Solo community board, and a coupon for three Tower System peripheral modules of your choice." Post to social media using the hashtags #FTF2014 and #GreatInventor to increase your chances. Contest ends Feb. 28, 2014.